35% Wool, 60% Mixed Fibre, 5% Elastic socks in a flecked Norwegian style. 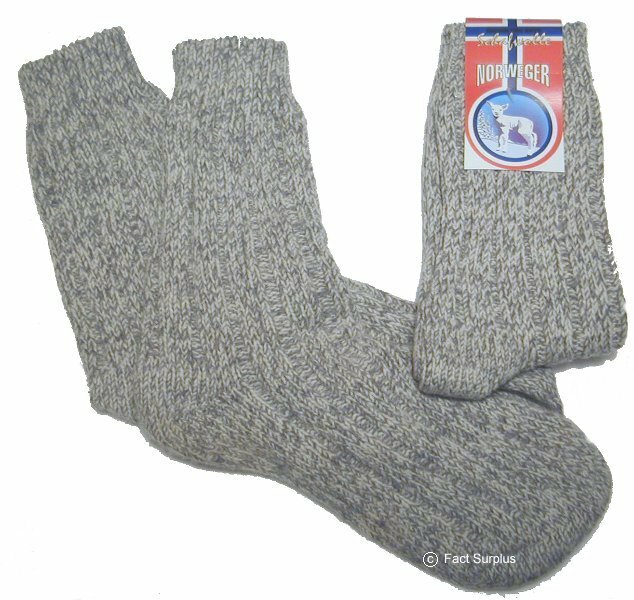 Ideal for hiking or just keeping your feet warm in the winter. Comes with a 1 year replacement guarantee.